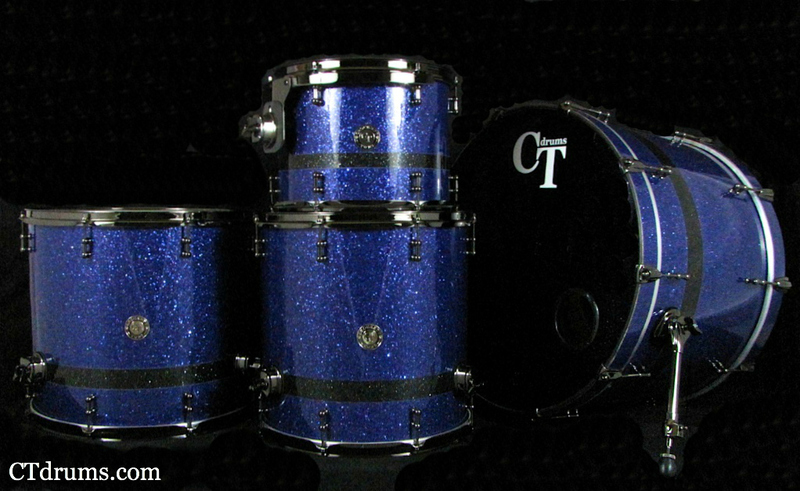 This sweet 3pc Players Series kit is featured in the ever popular blue glass glitter wrap. 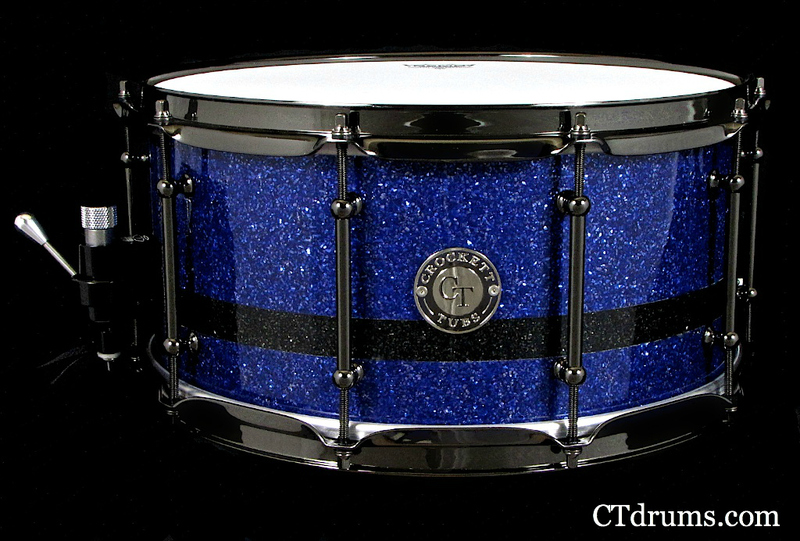 This color wrap always gets the most compliments as a great shade of blue, and brilliantly sparkles under the lights. Our Players Series shells are slighter thicker to add increased volume and projection while playing live over heavy guitar riffs and huge amps. They have plenty of tone and don’t choke under heavy hitters. 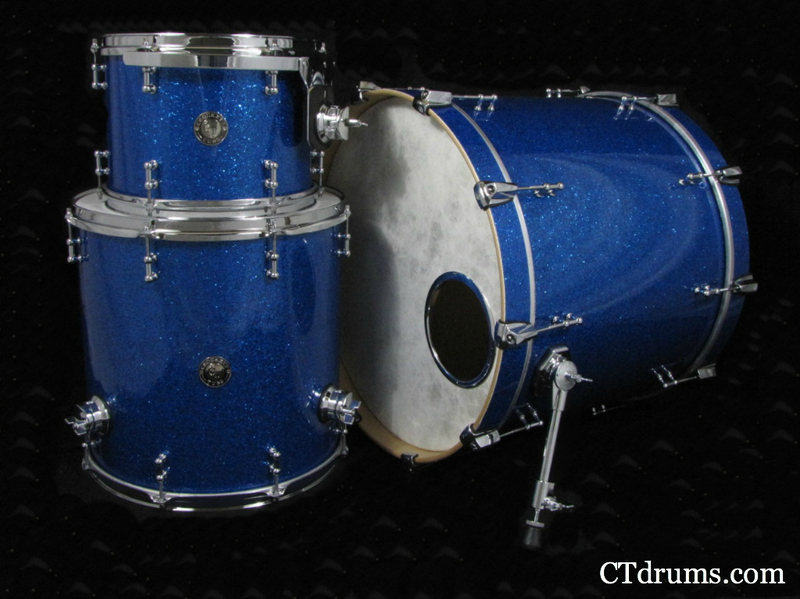 This kit has an 18×22″ kick, 9×12″ rack and a 16×16″ floor tom for a versatile 3pc setup. 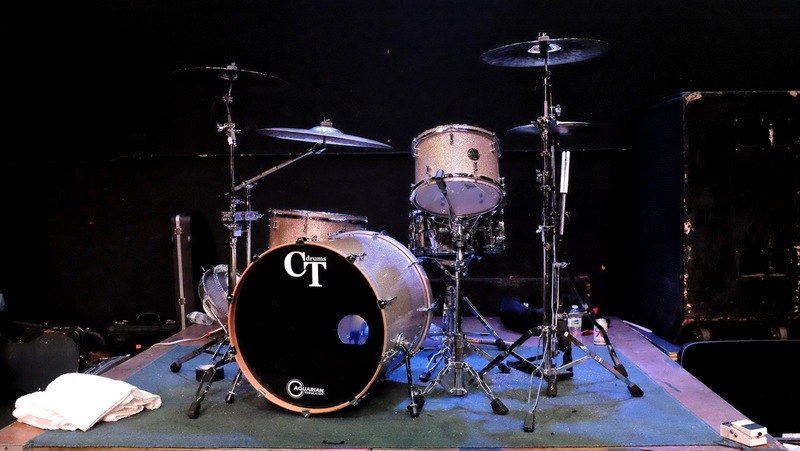 All Crockett Tubs standard parts are featured, including 1″ mini tube lugs, 2.3mm triple flanged hoops, pro spurs, round hinged brackets, 12″ DSS suspension tom mount, die cast bass claws and Remo drumheads. 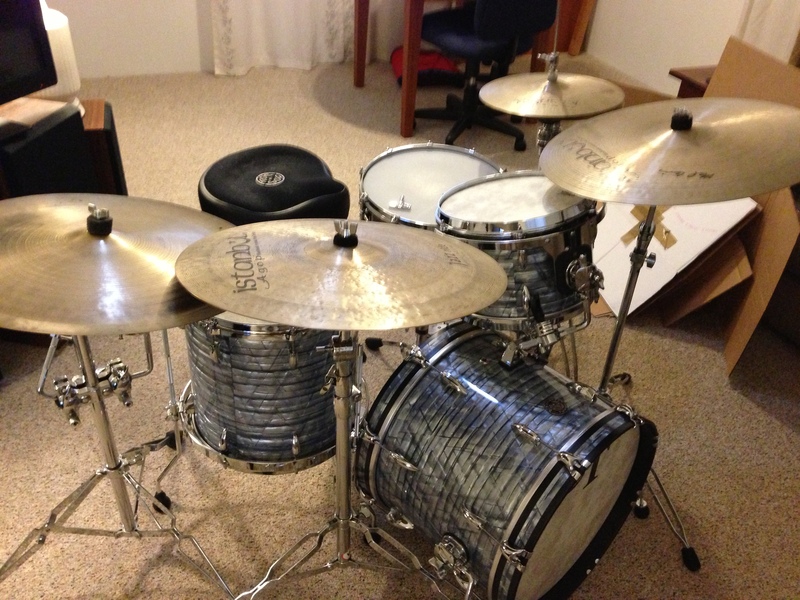 Get that vintage sound with modern made shells and parts. 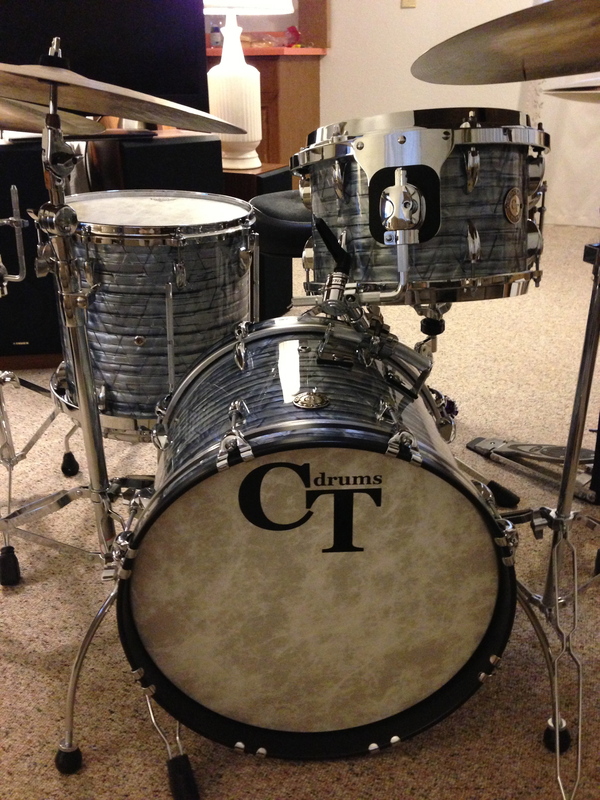 Here is another brand new kit featuring our 3ply Vintage Series drums. 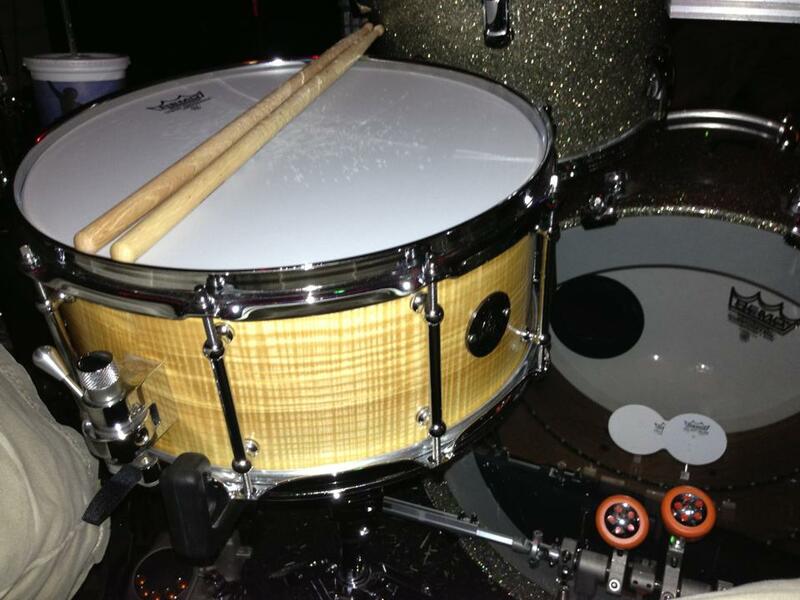 These shells are made of thick ply of poplar sandwich between two plies of thick maple for a really rich and warm tone. These are straight wall shells that do not have any reinforcement rings on the inside so these create a wider tuning range and deep lows to bright highs. 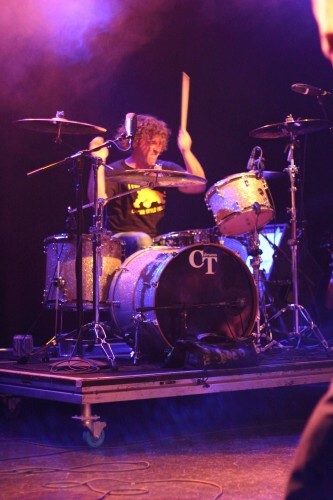 Sizes on this kit include 16×20″ kick, 8×12″ rack, and a 14×14″ floor tom. 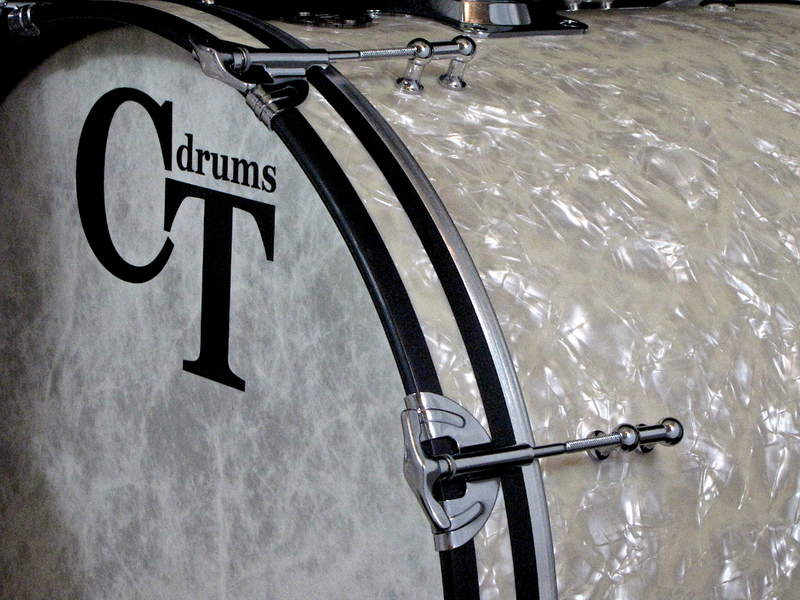 All vintage style details include aged white marine pearl wrap, mini tube lugs, butterfly claws, wrap inlayed bass drum hoops that were stained in satin black, T-handle tension rods, and many other high end parts. 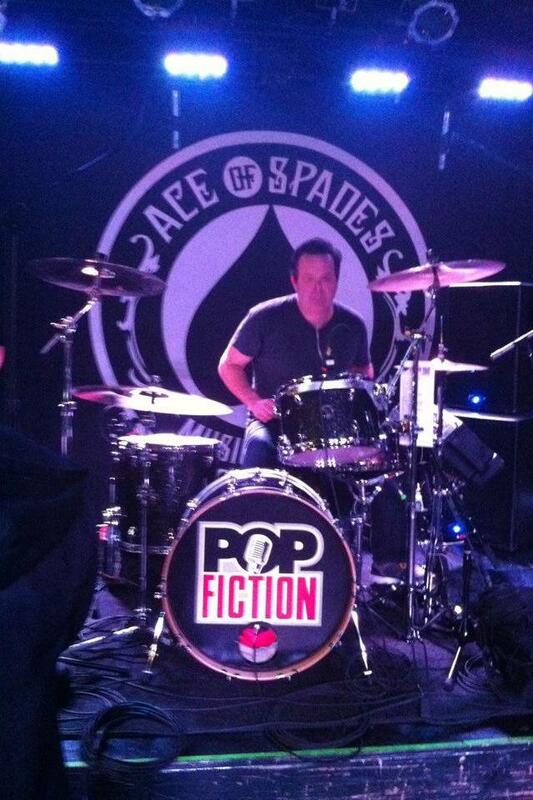 Look out for a new demo video featuring this kit soon too! 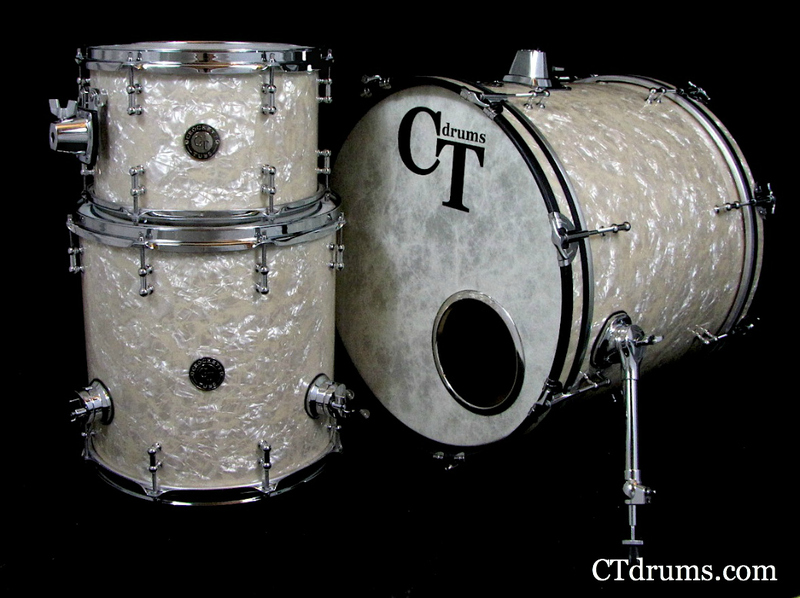 This sweet little Standard Series maple kit is built in one of our favorite new finishes called white glass glitter. 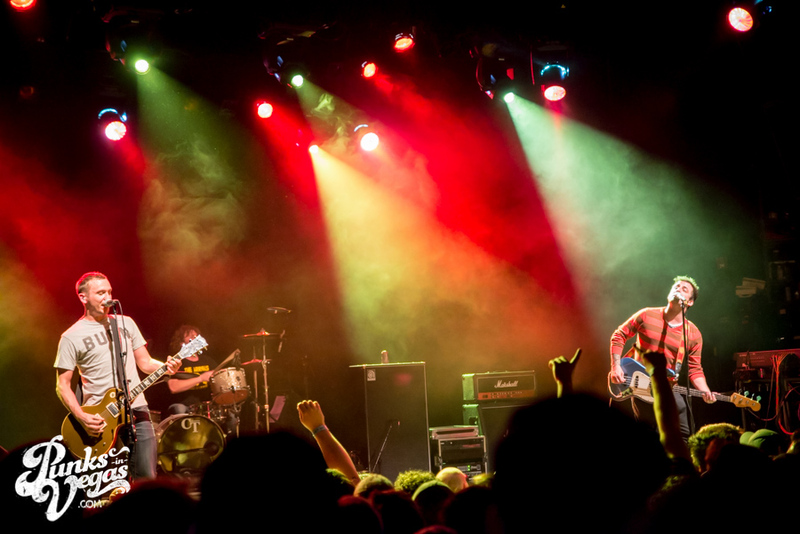 The white backing with clear glass glitter really picks up all the stage lights and pops out behind the band. Pairs great with the all black nickel hardware as well. Equally as unique, is the nesting feature where all the drums fit inside each other and travel in one case. The larger shells have custom latches and inner extra shell rings to keep it air tight and proper alignment when opening and closing the drums so no quality of tone is lost. 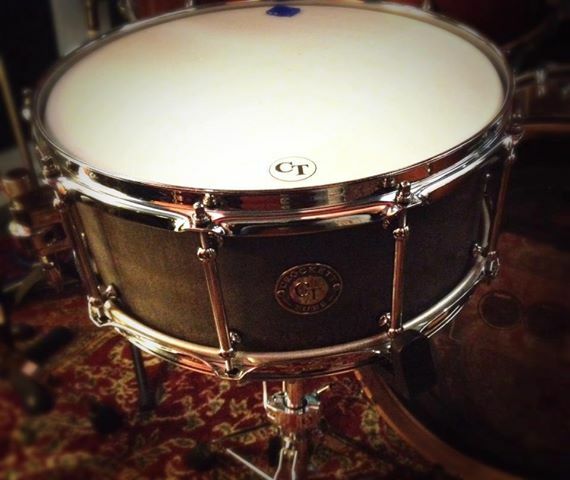 Sizes include 8×12″ tom, 14×16″ floor, 16×20″ kick, and a 6.5×14″ snare. 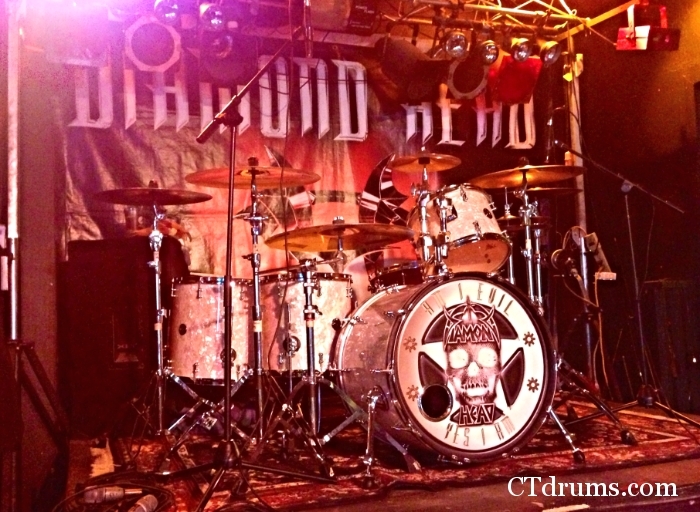 Custom built for RT Goodrich of the band JUNK PARLOR. 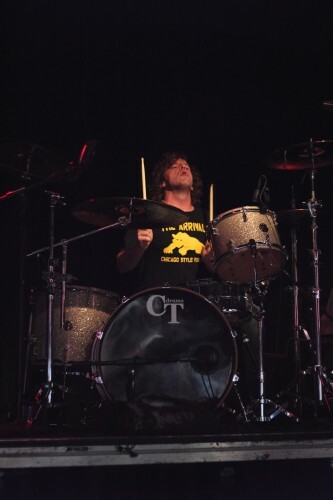 RT and his new kit immediately toured SXSW and House of Blues in Hollywood promoting their latest album “Wild Tones” which was produced by Jonathan Burnside; known for his work with Nirvana, Faith No More, and The Melvins. Just in time to sneak under the Christmas tree. 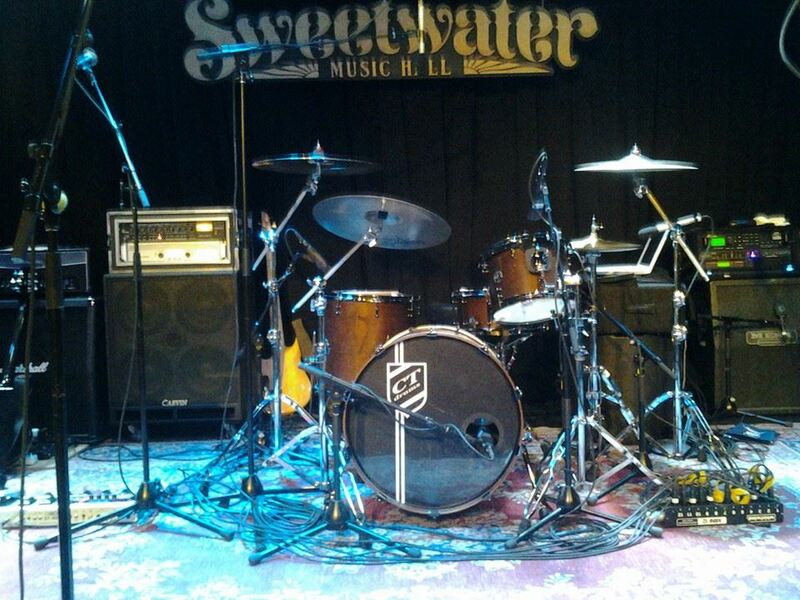 This is a sweet rock Players Series setup in a custom finish built for John Riggs. 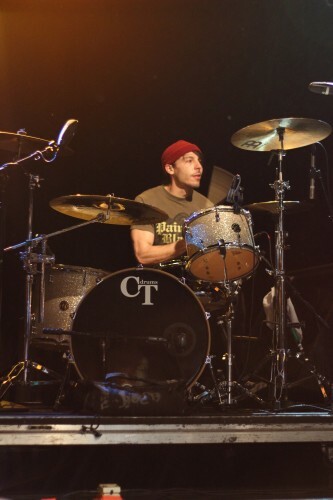 Sizes include a 16×24″ kick drum, 10×13″ rack tom, 16×16″ & 16×18″ floor toms, and a 7×14″ snare drum. All Players Series kits feature all maple shells with 8ply toms and 10ply kicks and snares. These shells give you great stick definition with warm tones, and a clear pronounce “cut” in the mix while playing with any band. The finish is a custom color wrap where you can choose any pantone color shade over standard glass glitter or other designs. This cobalt blue glass glitter wrap features a varying size black glass glitter offset stripe that pairs great with the all black nickel hardware. We also added black glass wrap on the inside of the bass hoops with a painted satin black edge to keep a seamless look. Special time offer… 20% off any item available in our webstore or any new custom order. See all the details and use coupon code “HULKAMANIA20“. Booyah!